480-456-8888 | Develop A Pro Active Plan For Your Turf Maintence To Save Money! 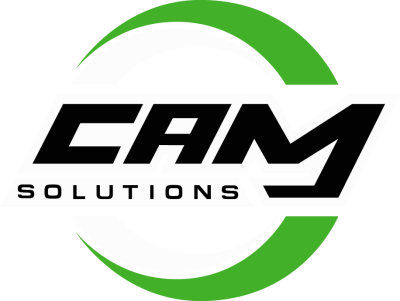 ​​CAM Solutions Understands That The Best Turf Care Company Maintenance Programs Use A Combination Of Techniques, Including Proper Organic Fertilizers For Lawn Fertilization To Provide Conditions That Promote A Healthy Lawn. Having Proper Turf Fertilizer And Timely Lawn Fertilization Practices Promote The Health And Stability Of A Lawn Along With Ensuring Year-Round Vibrant Green Turf. Our Professionals Use Different Blends Of Fertilizers Throughout The Year Depending On The Type Of Turf, Condition Of The Soil, And Weather Conditions. Our Turf Care Company Professionals Understand That Some Lawns Require More Nourishing Than Others, So Our Experienced Technicians Will Monitor Lawn Growth And Conduct Turf Fertilization As Necessary. By Using Advanced Organic Fertilizer For Lawns, Our Turf Care Company Professionals Facilitate Healthy Growth Of The Different Turf Varieties On Your Property. Let Cam Control Take The Work And Worry Out Of Keeping Your Commercial Property Adequately Fertilized. ​​CAM Solutions Turf Care Company Experts Are Trained To Know The Best Time Of Year When Temperatures Are Optimal And An Ideal Time For Lawn Seeding Otherwise Known As Turf Overseeding. The Overseeding Ensures That Your Commercial Lawn Remains Green, Thick, And Healthier With Turf Cover. Overseeding Is Good For The Long-Term Health And Vibrancy Of Your Lawn And, As Part Of Regular Maintenance From A Turf Care Company, Can Actually Do More To Improve The Quality Of A Lawn Than Almost Anything Else That Can Be Done. Our Professionals Will Choose The Seed With The Best Compatibility For Your Lawn To Ensure It Will Be A Healthy Lawn. We Will Ensure That Proper Techniques Are Followed For Best Results When Overseeding And Our Professionals Will Also Adjust The Watering During Overseeding For Best Results. ​​Lawn Thatch Is Known As The Layer Of Dead Turf Tissue That Has Built Up And Not Broken Down Between The Soil Surface And The Green Lawn Vegetation That Must Be Removed, Or Dethatched, For Optimal Lawn Health. Lawn Dethatching Or Turf Dethatching (Also Known As Power Raking) Of A Lawn Is The Process Of Removing The Excess Thatch From A Turf And Can Be Easily Done By A Turf Care Company. Although The Control Of Thatch Is Considered One Of The Most Overlooked Aspects Of Lawn Care, The Experts At CAM Solutions Do Not Take Lawn Dethatching/Turf Dethatching Of Your Property Lightly. We Are Industry Experts On Dethatching And Recommend Dethatching Of Lawns To Prepare For Weather Changes. We Will Make You Aware Of The Different Lawn Dethatching Techniques For All Types Of Turf To Help You Maintain A Healthy Lawn With The Expert Assistance Of Our Turf Care Company Professionals. We Will Provide You With Step-By-Step Information During Our Dethatching Process Of Your Commercial Property. Periodic Aeration Of Your Commercial Property Lawn To Ensure That Nutrients Reach The Soil Beneath The Turf Is Extremely Important. As You Will Discover, Aeration Of Your Lawn Is A Practice That Is Beneficial For A Beautiful Lawn. Mechanical Aeration Provides The Best Means Of Correcting And Alleviating Soil Compaction As Aeration Perforates The Soil To Allow Such Items As Nutrients, Water, And Air To Penetrate To The Roots Of The Grass. Our Turf Care Company Professionals Have Recommendations For Lawn Aeration To Suit Your Commercial Property. Our Technicians Provide All The Necessary Tools, Equipment, And Expertise For Professional Lawn Aeration. Let Us Help You Determine If Your Lawn Needs Aeration. With Our Expertise, The Health And Growth Of Your Turf Cover Can Be Improved Through Aeration. Our Professionals Will Explain To You All The Important Aspects Related To Aeration. We Can Also Provide Information About Different Lawn Aeration Techniques Beneficial For Properties In Any Region.